America's pastime ... Easy for anyone to play! Bounce foam balls off home plate. Land a "base hit" pocket and avoid being called out. 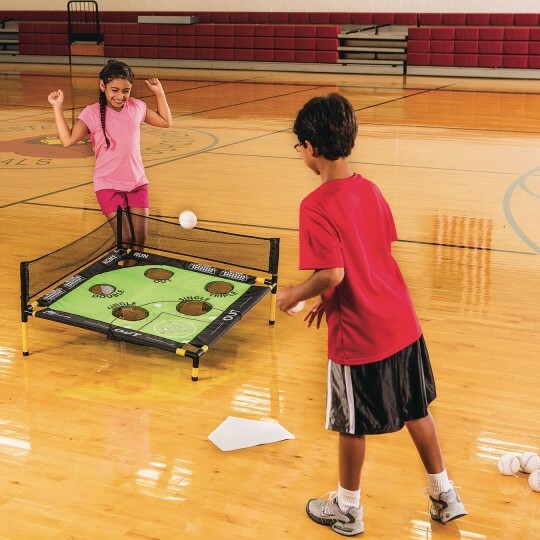 Your group will want to "Play Ball" all year long! We've taken America's pastime and made it easy for anyone to play! 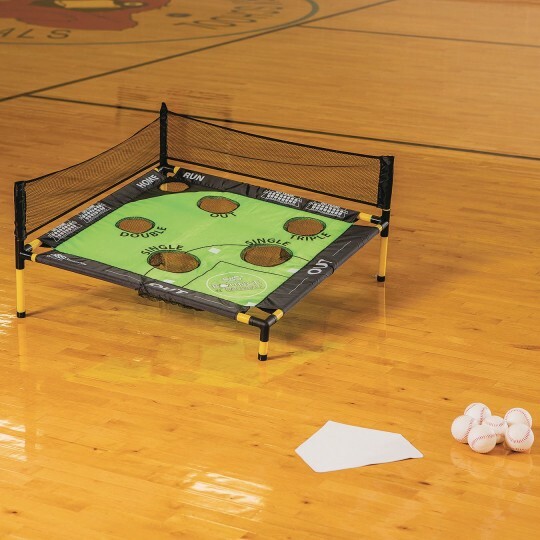 In our exclusive new game, players simply bounce foam balls off home plate in an attempt to get the balls to land in a "base hit" pocket and avoid being called out. 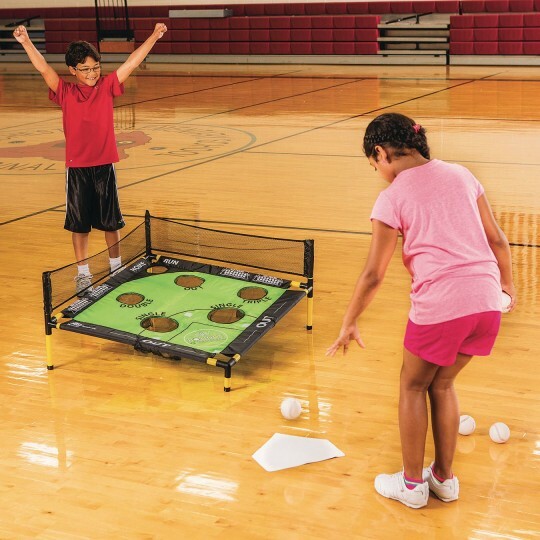 Your group will want to "Play Ball" all year long! 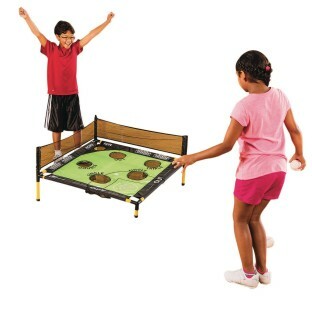 This fast-moving, fun and challenging game includes a large 36" x 36" target supported by a PVC tubing frame. 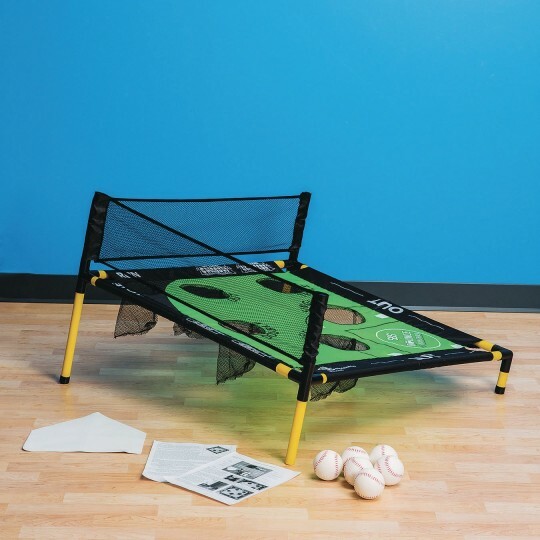 The target features 6 mesh pockets and a mesh outfield wall. 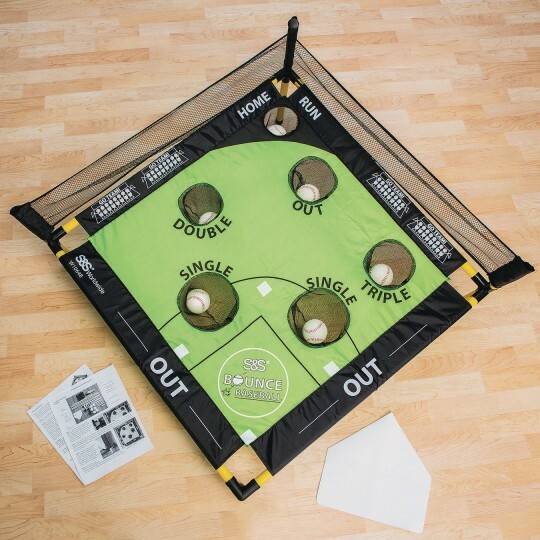 The set also includes 6 bouncing foam baseballs, a homeplate and rules to accommodate players of various ages, abilities and knowledge of the game. Suitable for ages 4 and up.